How Will We Maintain & Improve Quality With The Coming Surgeon Shortage? Have you seen this latest prediction of the coming surgeon shortage? One important question this brings us to is "How will we maintain quality amidst increased volume per surgeon?" Driving issues like these make it more important than ever to find and deploy advanced quality tools. 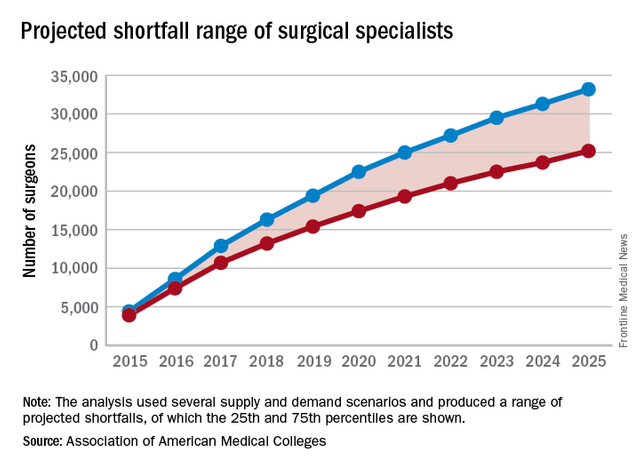 The number of surgeon specialists is expected to decrease as the segment of the population over age 65 years continues to grow, resulting in a projected shortage of 25,200-33,000 surgeons by the year 2025, according to the Association of American Medical Colleges.